Once you accept that you are now in the throes of marketing a consumer product, the first thing you need to do is get to a bookstore. Several bookstores. On the street, or online, preferably both. Booksellers are the front lines where the battle is met. How books appear “clearly” out of a jumble in the stacks, how special titles jump out at browsers and how they turn browsers into buyers is not magic. It’s careful, calculated packaging design. It is a science that has been around for quite a while now, and even a new author can make use of some of the most important precepts, learning how to be conversant in the lingo. An effective cover is rarely chosen at random because it’s a nice picture that “reminds me of the story.” Your book is competing with hundreds, even thousands of titles in your genre and reader niche, and sometimes, only the cover will stand between a sale and an unmotivated browser. So spend some time actively seeing which books in your genre attract your eye and ask why. What is it about the cover that grabs your attention? What holds your eye long enough to get you to read the title and author’s name? If it is a print book, will you actually pull it from the stacks? Will you actually be motivated to turn it over and read the back cover? Repeat this exercise enough times and you will begin to see some things that will be true with many of the top attracting books. The key is doing your research. Research the reactions of readers in your genre to various covers. Talk to book store owners. Ask their opinions and tell them you’re planning a new book cover. See if they can also add ideas that relate to how they display new merchandise. Once you can communicate all of this to your designer or digest it into some tangible ideas, you are ready to move on into the second exercise. The second exercise is to actually glue your preliminary cover art on another book of the same size, and see how it works in an actual store, or on actual shelves. Try a library first – with their approval, of course. Line your dummy books up on a table and see which one readers will pick up. See how they look in the stacks as well. See how they look on a print-out of an online book search results page, glued in place next to other books of the genre. Try a few of these, and above all, ask questions. Remember the answers. Show them to readers. See what their first question is. Remember what they tell you. Keep thinking about the person your book was published for. They are your target, and they will teach you the best approach to motivating them to buy. Gender, age, interests, education level; all of it is important. Learning to think like a marketer will pay an author back many times over. One of the first ways you’ll know the whole thing’s been useful is when you begin to describe what you’re looking for to a design professional… and they understand. 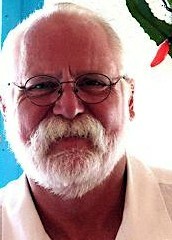 Richard Sutton is the author of The Red Gate and the Gatekeepers. He’s been writing in one form or another since High School. He and his wife live in NY and New Mexico. They enjoy music, their cats, salt water and gathering stories. You learn more at his Amazon Author Page and his website. With my eleventh title appearing in two days, I have had the opportunity to test cover theories out, and find I am startled by people's choices. Red continues to be a colour (whether for typography or objects, or even background) that ensures sales. Green continues as a colour treated with suspicion. Yellow is very attractive at first, but readers put it down after picking up quickly, and go for the red! Blue is not as popular as it once was, since it's connected to the sky and readers are turning materialist. The latest fashion for chopping up the human body and showing only parts of it is amazingly attractive. People prefer the human image to almost anything else other than cats and dogs. Birds do not sell. Edible objects, even for books that do not contain recipes, are popular. What certainly sells is clarity and purpose – you are very right there. Clutter is right out – it is only bought by confused people… and we all know there are very FEW of those. Let's see how I go when Camera Obscura is released by my publishers this week! Guess what colour is on that cover… and what object. Interesting…where were you two covers ago. Great post. Actually, I love both my covers and the women that created them. Just setting the record straight. Good post, definitely some things to think about. Thanks for the insight Rosanne. I hired a cover designer who worked hard to create an image of Joan of Arc that would capture the reader's attention through direct eye contact. Most people "love" the cover, but I've had a few negative comments. It's impossible to please everyone, as we find out sooner or later. Not everyone will give 5 stars to our books, but the cover must invite the reader to open the book and look through the contents. Now that most books are purchased online, are covers as important as they were doing the great days of book browsing in brick and mortar stores? I'd say, yes. Green Treated with suspicion and blue out of favour. Ouch! I'm in trouble. I guess, as in everything, there must be exceptions. Usually the first comments I get is that they love the cover. Go figure. Good tips for testing it out before using though. Previous Previous post: How to promote!